InfoComm International has partnered with Benjamin Franklin Institute of Technology (BFIT) in Boston to create an AV technology program at the college. Through this partnership with InfoComm, BFIT is offering coursework in AV technology within its computer technology department and is planning to create an associate degree in the field. The programming will include InfoComm's courses Quick Start to the AV Industry, Essentials of AV Technology, AV Math, and Networking Technology. In addition, students will take the AV Technologist exam. The AV technology courses will begin January 2017. Founded in 1908 in Boston, Benjamin Franklin Institute of Technology (BFIT) is one of New England's oldest colleges of technology. Started with a bequest from Benjamin Franklin, and a matching gift from Andrew Carnegie, the private non-profit college offers an affordable education for people seeking technical careers. "We had been hearing of the evolving needs for AV technology from our industry partners and the resulting skill gap in the job market in these areas," said Larson Rogers, chair of the computer technology department, BFIT. "We were looking to create a new program to address these needs when we first connected with InfoComm. It turned out to be a perfect match. Our plan is to become the premier site for AV technician training in New England. There is a clear demand and great jobs waiting." 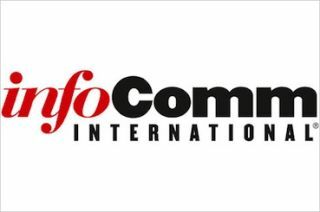 "We're very proud of the progress InfoComm and its foundation, the International Communications Industry Foundation (ICIF), have made building relationships with educational programs around the world," said Betsy Jaffe, executive director, ICIF, and senior vice president of member services, InfoComm International. "One of the common themes we hear when speaking with InfoComm members in New England is the difficulty in finding qualified AV technicians. By partnering with BFIT, we are not only lifting people up by providing them with training for an exciting trade, but we are securing the future of the AV industry." In 2016, InfoComm has built partnerships with Downey Unified School District in Southern California, Columbia College in Chicago, Valencia College in Orlando, Bogotá public schools in Colombia, and other learning institutions to bring AV education into the classroom. The ICIF develops and supports programs designed to equip the next generation of audiovisual industry leaders with the knowledge and skills required to successfully manage challenges and opportunities in the future. Through the ICIF Grant Program, students receive mentoring, internships, and educational scholarships to support their pursuits for a career in the AV industry. "We believe in the power of education, especially in the field of technology. It is crucial for our company to continue to educate our workforce in order to stay competitive in such a rapidly growing field," said Tahanee Karim, vice president of contracts/new business relations for SecureTech360, LLC, a sponsor of the ICIF Grant Program. "As a business, you have the opportunity to develop your future workforce by providing an internship program."